As you have found yourself on this reading article about the best game hacker apps for Android no root, you are one of the game geeks who spent lots of time playing games on the Android devices. As we are living in a world where we are always on the run, we don’t get enough time to be at home and take rest or get any entertainment. So we always tend to our smartphones, because phones are now becoming our next best source of entertainment. Most of the smartphone users use Android devices since Android OS is so versatile and Game Developers are providing some of the best games on the Android platform. We play some interesting apps on an Android device with our friends and some online players, in heavy competition. It’s irritating when you get stuck at any level or you couldn’t pass any round on the games, and you wish you would know some best tricks for hacking android games. We have saved your valuable time by making a list of the 6 best game hacking apps for Android available in the world. Some of them require root some work without root, so you can choose the one that suits your needs. If you want to root your Android phone, here is the easiest way. And please don’t afraid of the root, as you can unroot your phone at any time. And even you, unfortunately, lose phone data during the rooting process, you still can recover deleted data from Android with Android Data Recovery. Give a look at the below list and be a cool guy in your friend’s group, and show them you are the best game player of all them. 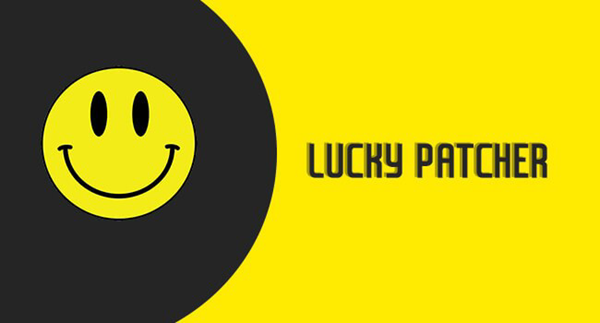 If you are a game geek, you must have heard the name of Lucky Patcher app, which is one of the best game hackers no root or with root. It helps to make changes in permission, block ads, license verification, and get app purchase for free android games as well other Android apps. It can cause changes in game memories. You can also use this Android app on Windows PC via Bluestacks. Works fully on non-rooted Android device as well as a rooted phone. You can customize the patch according to your needs. Remove ads from free games and other apps. Can get you app purchases for free. You can install the modded Play Store. Xmodgames is one of the popular games hacking apps for Android which have more downloads than some of the popular Android games itself. 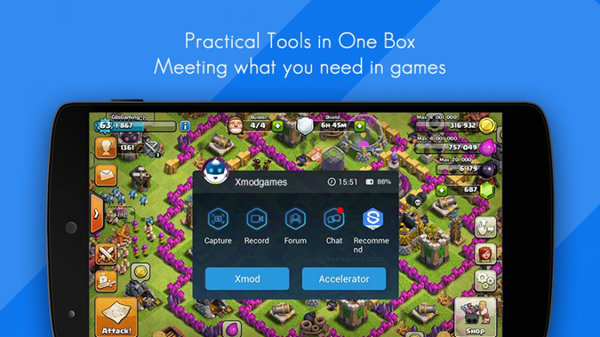 Xmodgames can hack many popular games like these online games, Clash of Clans, Clash Royal, Pokemon Go, Candy Crush Saga etc. It also provides its users with a premium version of particular games. Thanks to its automated script & plugins which make some games play automatically without us doing anything at all, which no other apps provide. It works only on rooted Android phones. Have lots of mods for many games. It has an online forum for gamers to share their views and tricks. SB Game Hacker is totally available for free and very popular among gamers across the world. It hacks games on Android to collect more coins and lives for you as much as you want, isn’t it cool? It works on both root and non-rooted devices. 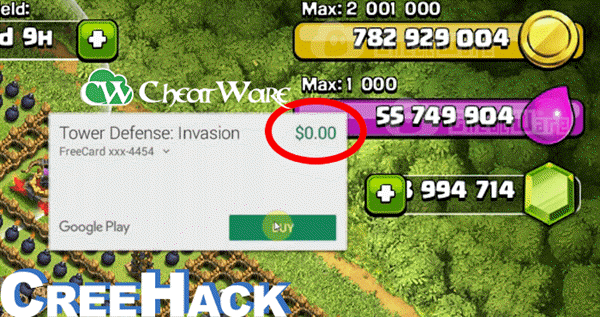 This tool can hack almost all popular games like Hay Day, Clash of Clans. It also allows you to modify the speed of the games so that you can play it smoothly. It removes ads from free games. You can bypass license restriction by a developer. It helps to enable data filtering. CreeHack is your best suitable game hacker no root if you are wondering how to hack any game on Android without root. It is an open source so it is available for free on many websites. You can download the paid gems, gold, coins to complete some hard levels of the game. 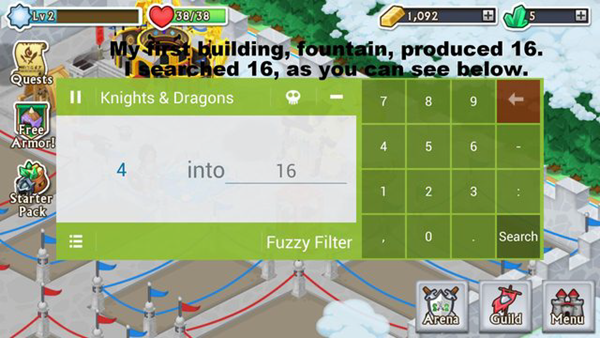 In addition, you are able to remove limitation and get as many lives and other access as you want. It is compatible with all Android versions. It works on both rooted and non-rooted device. The process of hacking is very easy and simple. With over 10 million downloads across the world, it is one of the most downloaded Android game hacking apps not available on the Google Play Store. It can modify memory and works smoothly with every game. 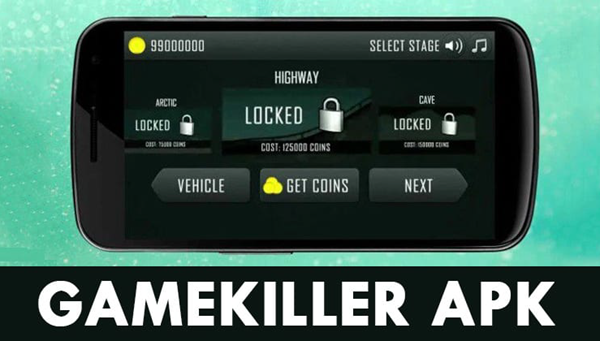 Step by step process is given on its websites on how to hack any games on Android with this Game Killer app. It supports all Android versions and maximum numbers of the games which require root permission. If the Android version you are using is too old, it is better to upgrade your Android version. Works best on a rooted device. It uses memory modification technique. It can lock video games to a specific level. 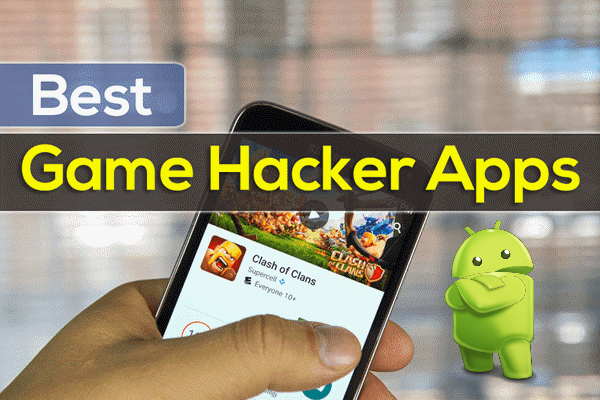 These are the top 5 best Android games hacker apps no root or with root. With the help of these apps you can hack your favorite Android games and pass the levels which are very hard and can get access to premium features like coins, lives, and others. Try these apps and tell us which were very helpful and easy for you to use. If we miss any apps which should be on this list and our readers should know about, then tell us and let others know. If you got the feedback, you could share it through the comment section.